1.) 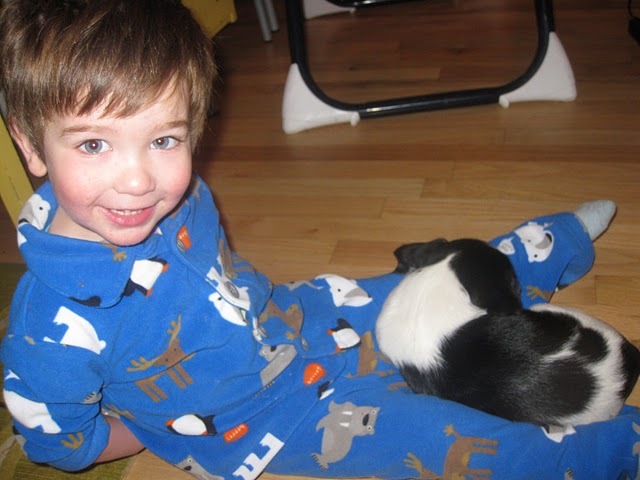 I am really lucky to have a 2 year old and a puppy. Could life be better than this? 2.) No one wants to hear that much about poop. Or maybe they do, but they should just go ahead and find another blog for that, please. Yes, we spontaneously went out Saturday and got a puppy. It seems that way, to me at least. Because I only spent a year researching dog breeds, and I only refreshed the Humane Society web page 1,000,000 times. Then I said, “Please do not let me look at this site anymore today. PUPPIEEEEZZZZ!!! !” And Dave said, “Just put one on hold.” I did, and we picked up my darling girl the next day. Have you ever heard of anything so crazily spontaneous? It’s really not like me. 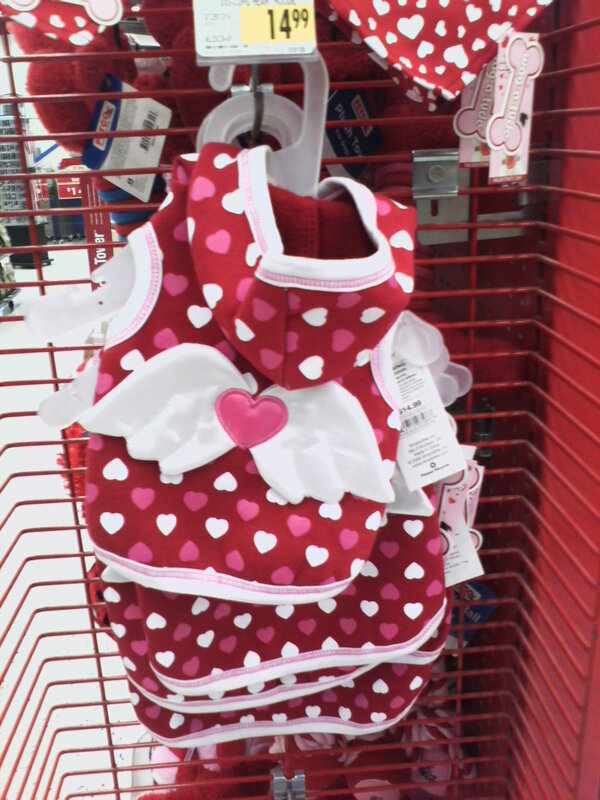 Unfortunately, I checked my spontaneity this afternoon at the pet store and did not buy Lucy this Valentine’s ensemble. Prepare to hear more about Lucy as the days and months progress. Luke and Lucy and I start puppy training classes soon. That should be very interesting! Details: Lucy was born 11/12/2009, so we’ll always have the issue of two birthday parties so close together. She is a cocker spaniel mix and she was given to a shelter in Kansas and then shipped to Boulder. Reason for surrender: Too many. Spay and neuter your pets, people! She weighs 5 pounds right now, but since we don’t really know much about her background we don’t know how big she is going to get. I think – too big for the basket on my bicycle, so I will need a side car. 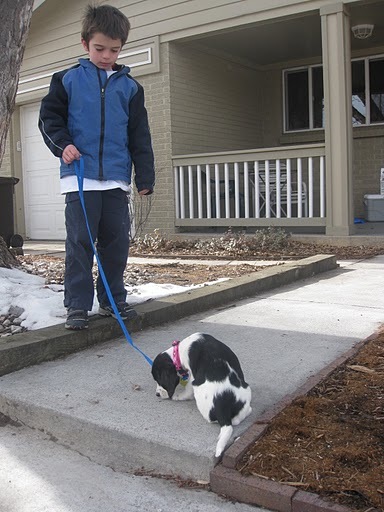 This entry was posted in Lucy on January 19, 2010 by metamegan. >I would expect a cocker mix to be around 18 – 20 pounds. Grover is a similar mix with a bit of poodle and bichon thrown in. He's also a bit heftier than 18 pounds, but he'd like to welcome Lucy to the family.Have fun. >Lucy is one darling puppy and she is lucky to have one wonderful family. I am so happy for all of you!